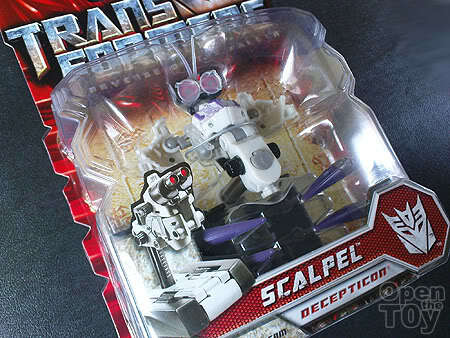 Scalpel was one of the Deception that has his own screen time for like 3-4 minutes when Sam was pinned down by Megatron. Somehow the scene when he place another bot into Sam's nose left a deep impression in me. 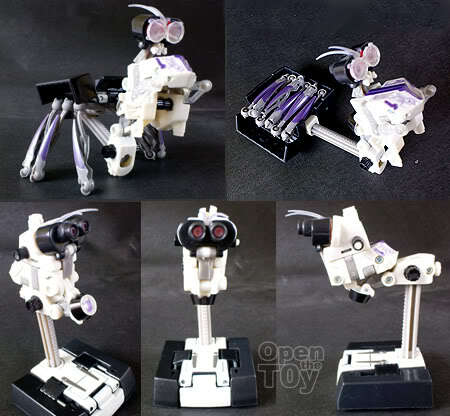 He look much like a Praying Mantis in his bot mode. 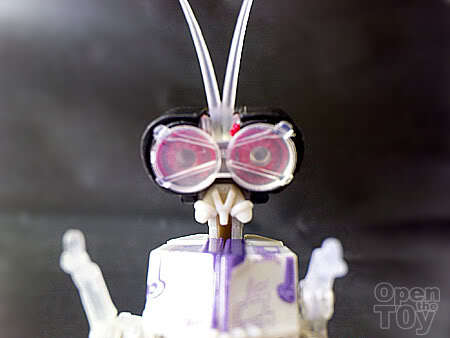 Unlike Praying Mantis, the toy does not have wings to fly. 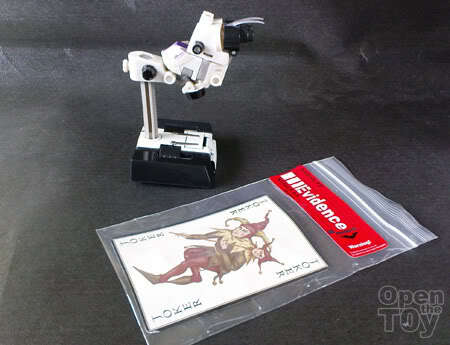 Decepticon logo was nicely placed as a len. They said that the soul of the body lies in the eyes and that make him look intelligent and innocent as a doctor. 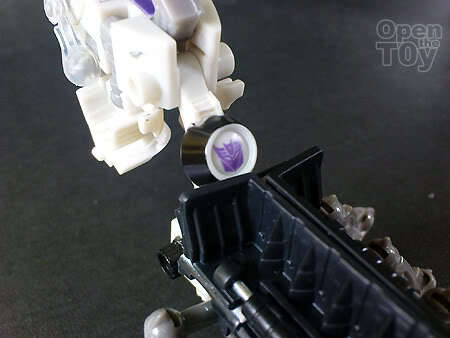 But do not be deceive, he is after all a Decepticon. The transformation of this figure was manageable. After a few try with the help of the instruction, I finally get him into his instrument mode. 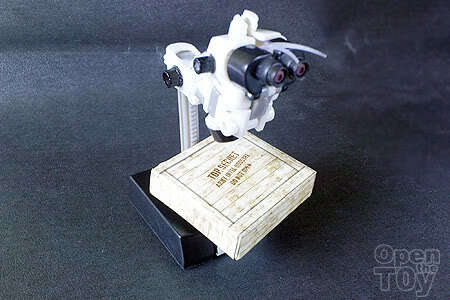 It remind me of a G1 Preceptor but preceptor was an Autobot. ?? Isn't that the joker? 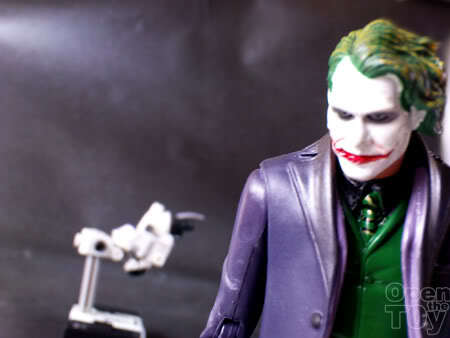 Joker: "Do you missed me?" Wah!! 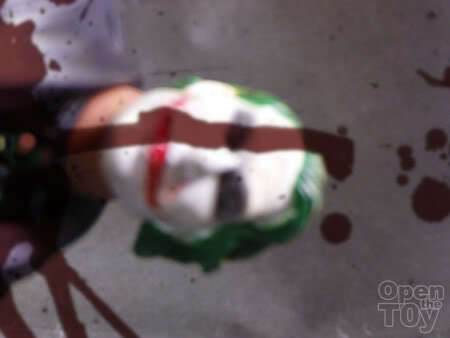 Your joker is very violence..
Good directing bro! 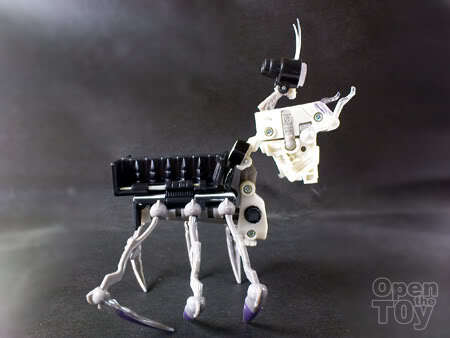 Another cute Decepticon. Go get it. Now is buy 1 get 1 free at OG.